Glad I am not the only one who noticed the outlandish somersault. 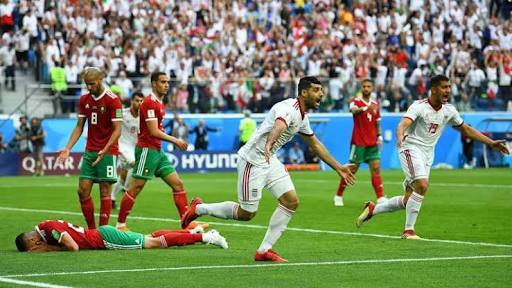 Deep into injury time, as Carlos Queiroz’s Iran were chasing an equaliser against Fernando Hierro’s Spain, Milad Mohammadi launched himself into a somersault to get as much distance as possible on his throw in. The person seated next to me, remarked ‘madness’. ‘Passion’, I retorted. Someone else suggested he could be a serving soldier in Iran’s elite Republican Guard. Who does that at the World Cup? A possessed man does. A man on a mission does. A player with two hundred percent commitment does. Intense passion, bordering on paranoia was evident throughout Iran’s national team as they went about nullifying Spain’s technical superiority. It nearly paid off, as the 2010 champions needed to call on energy reserves to tame the Asian giants. Unless Africa’s World Cup representatives learn to replicate such a no holds barred, never say die approach to the game, we risk falling behind Australasia in world governing body Fifa’s pecking order of continental football confederations. Given the arsenal of options available to Aliou Cisse, there is no way the 2002 World Cup quarter finalists should have been pushed to the brink by Japan. Herve Renard’s technically gifted Atlas Lions fell 0-1 to Iran on account of the sheer fitness advantage of the Persians. Take Sunday’s Group H encounter between Senegal and Japan as an instance. A night before the match, Blue Samurai’s coach was shaking in his pants at the sheer size and height advantage the Lions of Terranga had over his team. Alas. On match day, all his fears were proved to be unfounded as the African side’s presupposed superiority evaporated in the face of intense, high octane football from the Asian giants. Africa currently has five World Cup places, with the number poised to rise to nine for the 2026 tournament in USA, Mexico and Canada. I am afraid, one of the extra four places could be stripped from Africa and handed to an Asian side unless our teams reconfigure their approach. 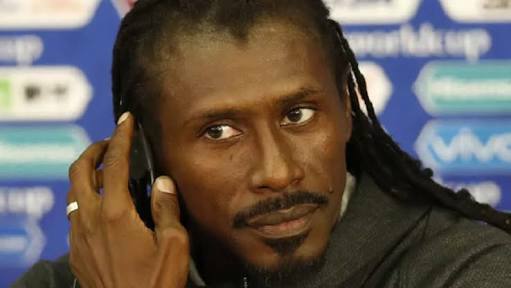 Cisse might be ruing his decision to switch from 3-5-2 which formed the bedrock of his team’s surprise triumph over Poland on MatchDay One. 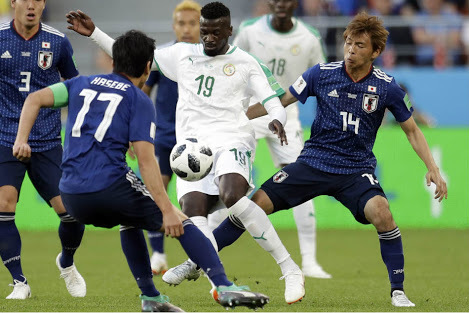 For although Moussa Wague scored the go ahead goal to give Senegal a 2-1 lead, Cisse’s side were much too porous defensively to worry possible knock out round opponents England and Belgium.